This old-fashioned spittoon is made of brass. It is about 9.5" tall and 9" wide. It will make a great decor piece. Our Gladiator Helm in steel was reproduced from the gladiator helmet that Russell Crowe made famous in the movie Gladiator. This is the helmet of the Spaniard as he enters the Coliseum the first time for battle. •It is made of hand-forged 18 gauge. Can be made in 20 gauge on request. •The helmet comes with a riveted, high-quality and adjustable leather liner and chinstrap and authentic brass buckle. Axe Head Size : 6"X3.5"
Axe Head Size : 7"X6"
Axe Head Size : 10"X7.5"
Axe Head Size : 12"X10.5"
Axe Head Size : 13"X6.5"
This mace head is made of steel and is 7,8 cm long, with an inner ring with a 23 mm diameter. It weight is 450 grams. Horn Plates like this were used during several periods in history. 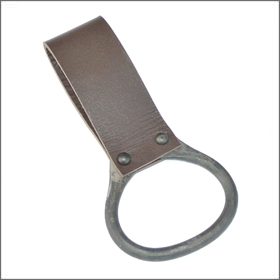 Item is completely handmade of horn in a socially responsible manner. Kindly note: Wash by hand, not suitable for dishwashing machines. Sizes may vary slightly from piece to piece. Bowls made from 100% cow horn. These were being used during the medieval period for eating or serving food. These bowls have a diameter of 3 inches each. All horns are boiling water proof and are polished to give a smooth finish. Wiping the horns with some vegetable oil occasionally will help increase the life of your possession. Since these are made from natural materials, the colour and shade made vary from piece to piece. Lamellar armour is a type of body armour, made from small rectangular plates (Scales) of iron, leather, bronze laced into horizontal rows. This was used over a wide range of periods in Eastern Europe. Lamellar armour consists of small platelets known as "lamellae" or "lames", which are punched and laced together, mostly in horizontal rows. 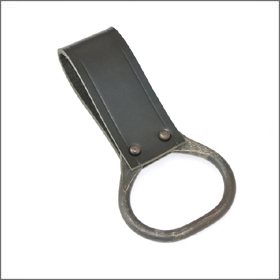 Made of metal, leather horn, stone, bone. Metal lamellae may be lacquer polishd to resist corrosion & for decoration purposes. 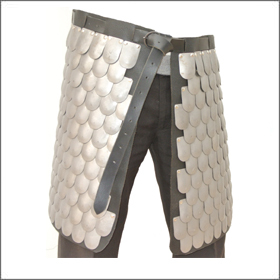 Unlike scale armour, lamellar armour is not attached to a cloth or leather backing. It is worn over a padded undergarment. 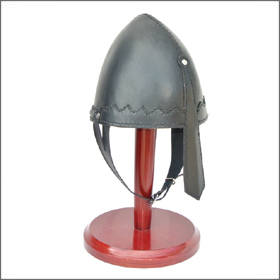 Our Norman Helmet had been handcrafted from Genuine Leather with a hard inner core so it would not bend easily. The most unique part of this Norman helmet is its nasal piece running down the middle of the warriors face. 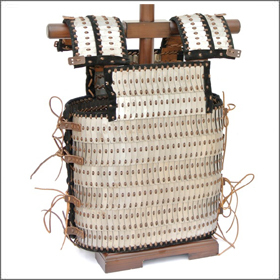 The interior is made from sofe leather, so no need to wear a soft cap, with adjustable leather string and comes equipped with a chin strap to make sure your leather armour does not go anywhere when battling your opponent.